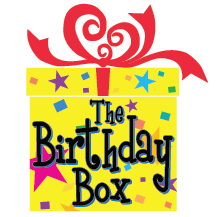 For a $25 donation to The Birthday Box you will be entered for a chance to win two (2) tickets to Dear Evan Hansen. Each additional $25 donation equals another entry. Raffle ends at 11:59pm on December 1. Winner will be chosen at random by https://www.randompicker.com/ at 11:00am on December 2nd. The winner will be notified by email and must respond within 24 hours. Tickets are for Saturday March 10th at 2:00pm, Music Box Theater, NYC. The Tickets are in the front of the Orchestra section. If you win and cannot attend the event, due to any situation, The Birthday Box is not responsible for returns, exchanges, reschedules, fights with your spouse, etc… but we will happily attend in your place if you so choose. Winner is responsible for all transportation, and expenses associated with attending this event. In other words, we give you the tickets, you figure out how to get there. Indemnification. 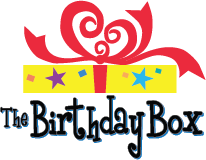 By participating in the raffle, the winner releases and holds harmless The Birthday Box from any liability arising from the use of the prize or participation in the raffle. If the chosen winner does not reply within 24 hours of notification, The Birthday Box will choose another winner. Same rules as above. We do not share your name/info with anyone, but you may opt into our newsletter, which may happen once or twice a year. Official winner proof will be available upon request. No other purchases necessary, but this is a fundraiser so a donation is required to enter. You must be at least 18 years old to enter. Kids, ask your parents to enter for you. Once you press “submit” you will be directed to PayPal to complete your donation. Only verified transactions via PayPal will be considered entries.